Training provides a way to effectively communicate to your dog what is expected of him and to prevent unwanted behavior. Training helps build a lasting relationship and strengthen the bond you share with your dog. Education dogs to become better companions and superior guardians. Our campus is built on a 50,000 m2 plot state of the art traning and events facillity center. Training at EWT is a fun an pleasurable experience. Our professional trainers will bring the best out of your dog through a variety of offered training courses that suits every dog level and owner needs. Early training is the single most important factor in your dog becoming a good companion. DON'T WAIT TILL ITS TOO LATE … ENROLL YOUR PUPPY NOW. The finest obedience course offered anywhere. 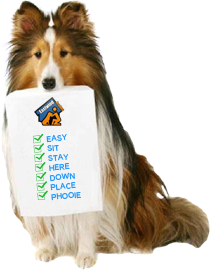 It teaches your dog to understand and follow specific obedience commands. Building your dog confidence is the base of our training; not fear. Dogs that graduate from our courses will become confident, effective protectors. Bandit is a Sacramento Police K-9 officer. Prixie trained by Eastwind Training at his home. Francene trained by Eastwind Training at his home.